These rectangular "PlanterWell" Self Watering Reservoirs are a perfect solution to make your new or existing window boxes or planters easier to maintain. Add these in one size or we can link them for you to create your own self-watering window box. This flexible, effective and proven approach to irrigation is a sensible, easy to maintain option to integrated self watering windowboxes where the tank can become problematic due to dirt and mud migration. Easy to place, space, remove, drain, store and clean (inside and out) these reservoirs offer any old or new window box a fresh start without the need to shop for or purchase a newer and more expensive self watering window box. With our wide selection of sizes and custom configurations, you can simply add "PlanterWell" self watering reservoirs can be designed to irrigate almost any box or planter. 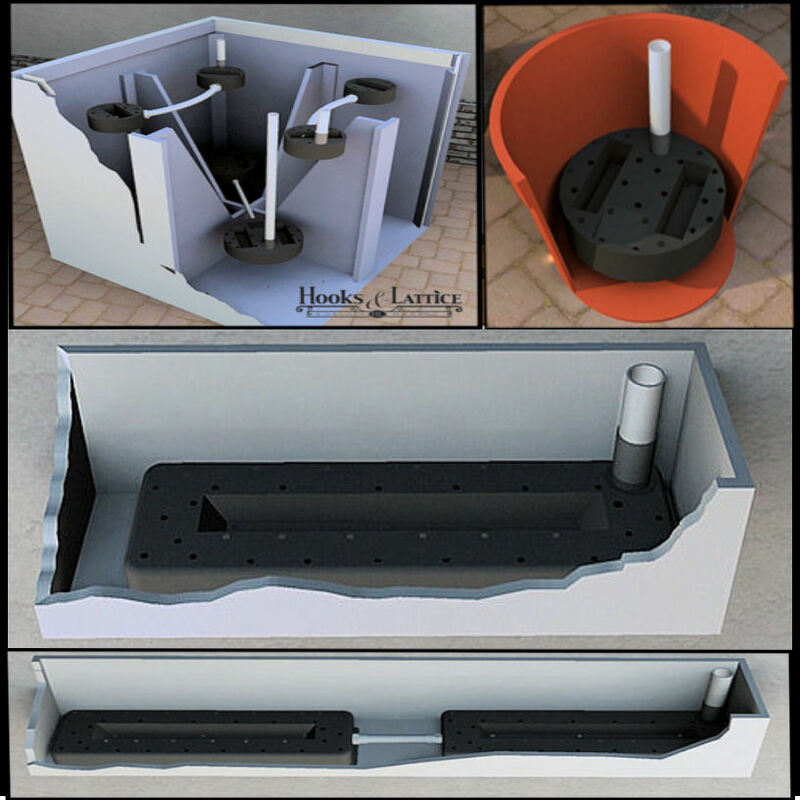 Each self watering reservoir can be used by itself or linked to other "PlanterWell" reservoirs to create a self irrigating window box or planter. Not only do "PlanterWell" self watering reservoirs reduce the times that a planter needs to be watered it also improves plant growth and reduces water usage. Each PlanterWell will irrigate 9" of soil beyond it's edge, so one 24" planter well reservoir will keep the soil moist in a window box or planter that is 42" long.